So you’ve come to Orlando to do all the parks ~ that’s great! And hey, thanks for coming! We, for the most part, love our tourists in Central Florida! And, obviously, we love it down here, so we “get” why you’re coming! Today I have for you an Orlando Day Trip that you’ll love! It’s a frugal Animal Kingdom alternative for you to consider! As you’ve probably figured out by now, Central Florida and all the Theme Parks are very expensive!! So, today I offer you an alternative for Animal Kingdom. Especially if your kids are young and you think they may not make it all day at a Theme Park. That alternative ~ the Central Florida Zoo! It’s conveniently located right off I-4 in Sanford off Exit # 104, which makes it an easy Orlando Day Trip! Let me tell you why I love the Central Florida Zoo as an Animal Kingdom Alternative! It’s pretty inexpensive, especially compared to Orlando theme park prices. For a family of 4, you’ll spend approximately $70 at the Central Florida Zoo , versus $500+ at a Theme Park!! That’s a significant difference. Especially if your kids are young and you might not even make it the full day at the park! Oh, and there’s free parking! Wowza! The Central Florida Zoo is a pretty space to hang around at for a day! There’s a lot of shady areas, so walking around in the summer is pretty pleasant. There are 400 or so animals at the Zoo, which makes this a great Animal Kingdom alternative! So, if you want to spend a day seeing animals, this is the place to do it! What can you see/do there? You can also have “Up close encounters with rhinos“. This is only available a few times a day and is very limited. But, if you’re interested, for $15.00 and some planning, you can do this! And, there are lots of folks walking around with small animals you can touch and learn about. This is outside the park before you enter. It is mostly for younger ones (although I’ve seen all ages on there 🙂 ) It goes around perimeter of the zoo, so you can see some of the animals from a different perspective. This is a Zip Line park that is also outside the entry way of the zoo. The fee is separate, but it is a fun experience! The Splash Area is inside the zoo and included in your entrance fee. It’s a beautiful area with a fabulous “covered porch” area for parents to sit under. On a hot day, this is great! Just don’t forget a towel or change of clothes! There are a couple playgrounds tucked in throughout the park. So, as you can see, the Central Florida Zoo offers a fun Orlando Day Trip and a frugal Animal Kingdom alternative! The pricing is definitely easier on the pocket book than most of the Theme Parks. It’s a beautiful park to spend the day in. And, there’s something for everyone. If you have young kids they will love the Splash Pad area. And, if you have older kids, they will love the Zip Line Adventure. And, the whole family will love close encounters with some of the animals! The food is not horrible and not horribly expensive. You are able to bring a cooler, and there is a lovely picnic area outside the zoo. All in all, it’s a great way to spend a day in Central Florida! « What Happens at My First Blogging Conference?! This looks like a fab place – the pictures are great! 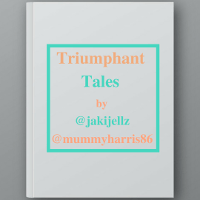 Thanks so much for linking up to #TriumphantTales – hope to see you again on Tuesday! What Happens at My First Blogging Conference? !